Turn your bachelor's degree into an impactful career with our Graduate Teaching Licensure (GTL). Our program is designed so you can earn your K-12 teacher certification in a format that accommodates your life. The transition to teaching is a rewarding endeavor, and our Graduate Teaching Licensure (GTL) program is designed to prepare students to get there seamlessly. 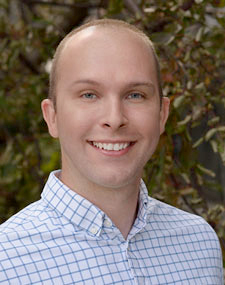 This alternative pathway to teaching allows working professionals from all backgrounds to earn their Minnesota teaching license while working toward a Master of Science degree. 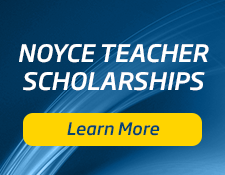 Any student seeking licensure in life science, chemistry or mathematics in our GTL program may be eligible for the Noyce Scholarship program. Impact more lives as an educator. Request more information today. Prepare to make a difference as a teacher in classes offered in a blended online–on-campus format with course time limited to two weekends per month. This teacher certification program starts once each year in the fall. However, prospective students are encouraged to apply early to determine prerequisites and content courses needed, as these classes may be taken throughout the year. Our graduate licensure program was created in collaboration with the K–12 community. Through coursework grounded in research and best practices, we instill committed teachers with the knowledge, skills and dispositions needed to promote student learning. The varied courses and field experiences enable students to develop mastery of the Standards of Effective Practice for beginning teachers. Our GTL program is designed to meet the requirements of a Master of Science while you are working toward your initial Minnesota teaching license. This means you'll be able to enter the teaching profession with a master's degree, giving you more earning potential, better credentials and a full understanding of how to be an effective teacher. If you're not interested in earning a Master of Science degree and just want your teaching license, then we can accommodate your needs as well. To learn more, fill out the form today. Or if you’re ready, start the application. Learn more about federal student loan forgiveness programs. Educating isn’t just a rewarding occupation; it’s also in-demand. According to the Bureau of Labor Statistics, teaching positions are projected to grow at about 17 percent between 2010 and 2020. That demand is even stronger across inner cities and rural areas. Whether you are interested in being an elementary school teacher vital to the development of young children or a secondary school teacher helping to prepare students for the job market, the impact teachers have on the state of our communities is immeasurable. Getting a teacher certificate is a great path to pursue your passion and become the best educator possible. Take the next step to earning your Graduate Teaching Licensure at CSS. For additional information on this certificate program in an easy-to-read format, please read our Gainful Employment Disclosure notice. 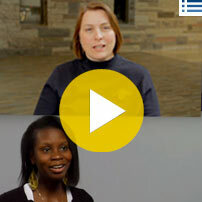 "I can't tell you enough how much I enjoyed my experience at St. Scholastica. It was the best decision I could have made for myself personally and professionally. St. Scholastica opened doors for me that have greatly improved my life, and I am so thankful for all of the experiences I had!" "The GTL program is one of the most fulfilling experiences I have had. I am so thankful for the dedicated faculty and staff who have encouraged me every step of the way and the cohort model that provided lifetime friends and professional resources. Thank you, St. Scholastica community!" 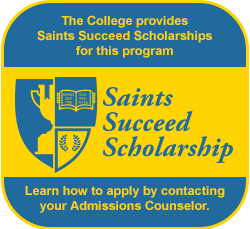 "My experience at The College of St Scholastica was life-changing. I was able to fulfill my dreams with my Master of Science in Teaching and still be effective at home and in my community. I am proud to be a Saint and I wouldn't have had it any other way."